Game Developer Courses, Support & Feedback - Make Awesome Games. with Quality Feedback & Support for your games. What is the RisingHigh Academy? The Academy is centred around a community of game developers, game designers and producers with the will to make stuff happen. 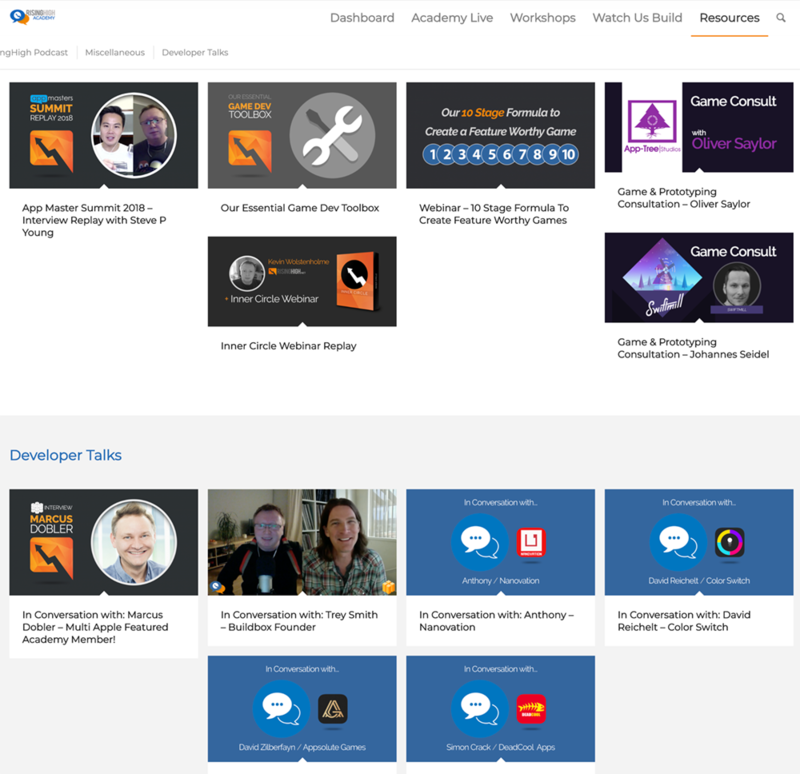 With weekly online meet ups, supported by training courses, industry expert interviews and workshops, we teach effective game design to game dev’s who want to build better games, get publisher deals and have more impact with their businesses. 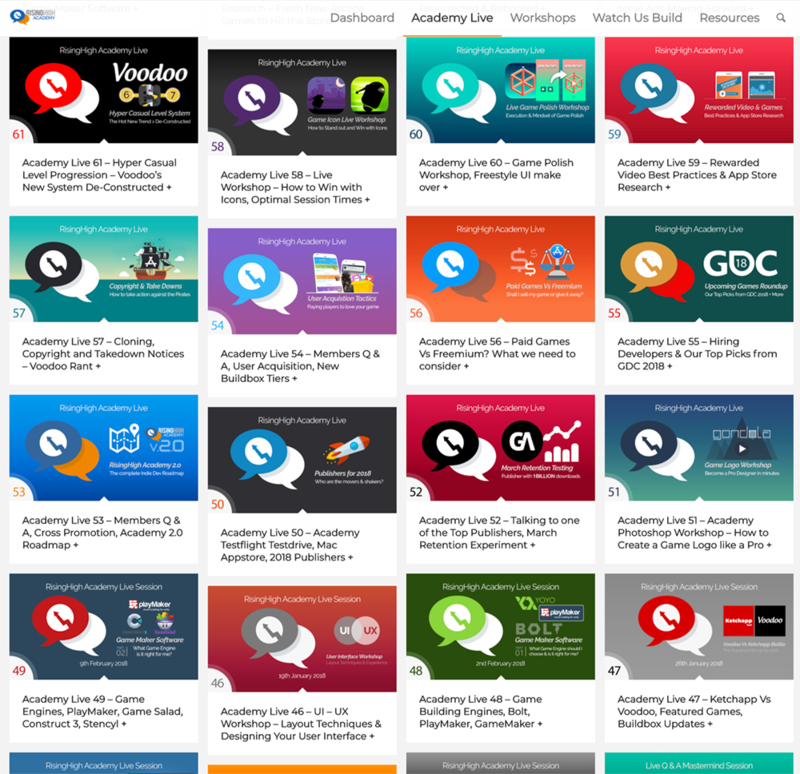 Whether you’re just starting out and are brand new to the mobile game business or have an established studio, the Academy will challenge you to strive for the highest levels and execute your ideas. The world needs to see your creations and our goal is to help you get there. If you’ve ever tried talking about your game to people and they just stare blank faced back at you, then the Academy is for you! 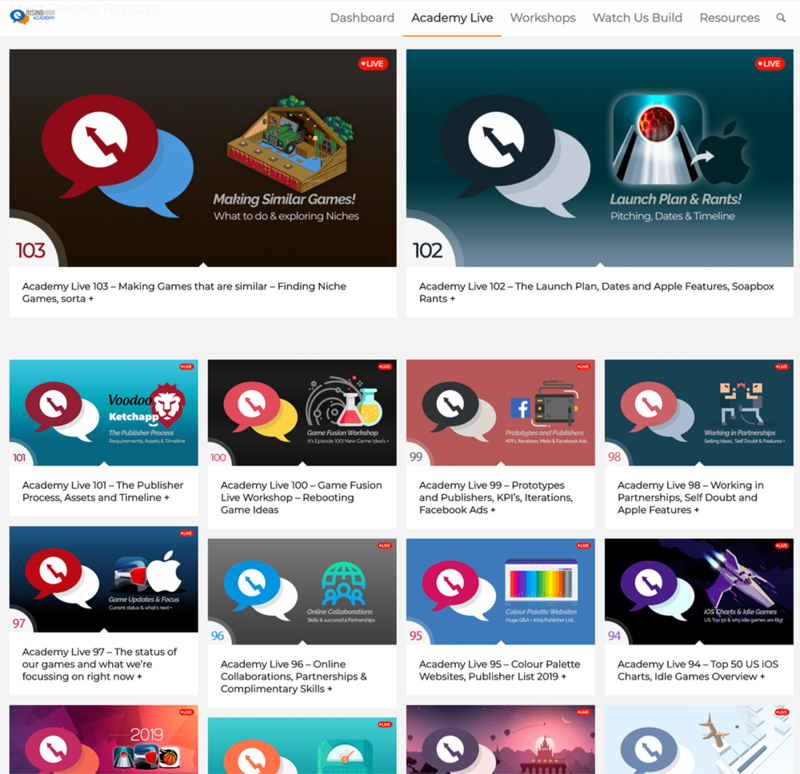 The RisingHigh Academy is the premier online training community all about the business of building mobile games. Join hundreds of likeminded Game developers just like you and immerse yourself in powerful, meaningful game dev conversations. Forget struggling in isolation and wondering what on earth to do next, we’re here for you and we understand what you’re talking about! Coaching Workshops, In-depth Market Analysis and Trend Research. Ever take that course that had a few Live Sessions at the beginning then just stopped? Well, we have and that sucked. Here at the Academy, we just keep on going! Personal, Direct Access to us every week! Join us on our weekly group coaching sessions and we’ll personally respond to all your questions Live Every Friday. You’ll also have access to the archives with Over 100 Episodes! 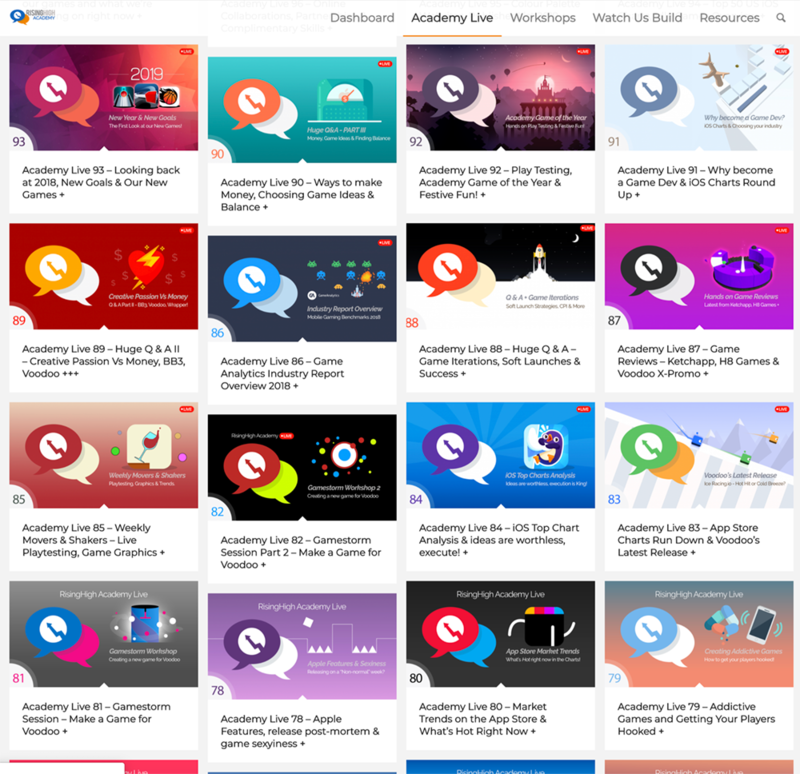 We cover all the trends in the App Store, what’s hot and how we can get ahead of the market and ensure we’re creating games that the Top Publishers actually want. 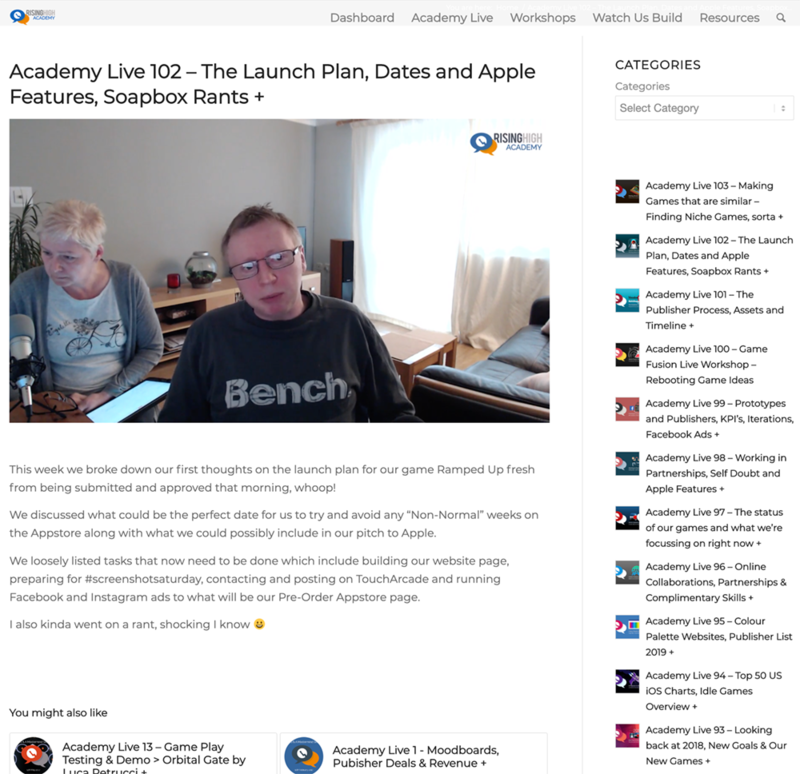 Planning, Building and Launching your Games in 2019 & Beyond! 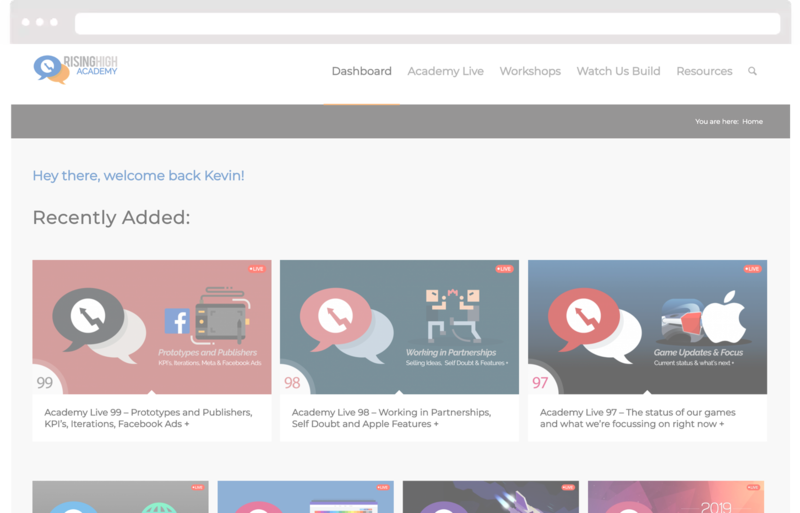 “I think any developer at any level will gain a great deal by joining Kevin’s & Jilly’s Academy. 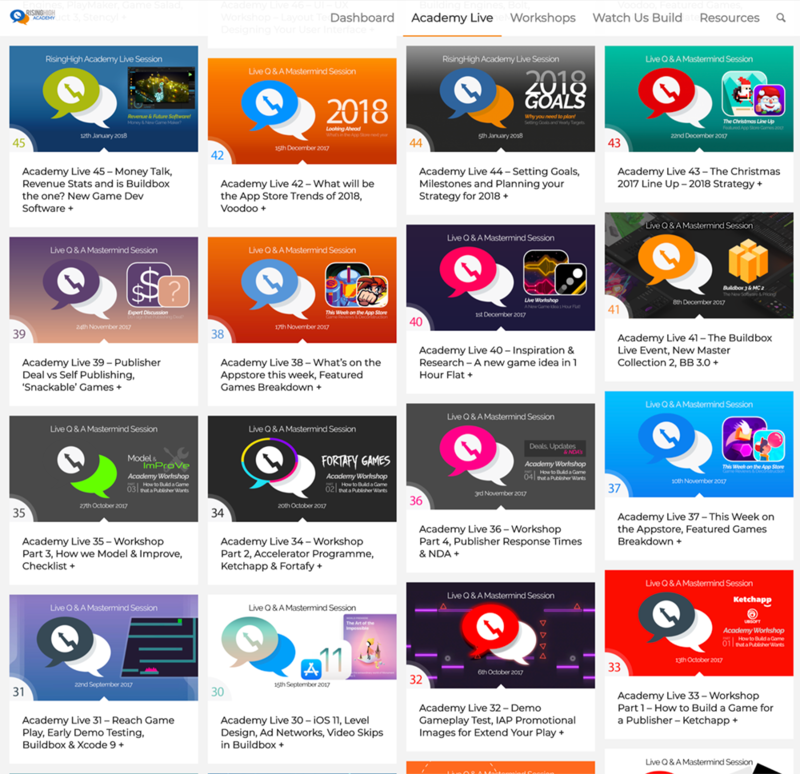 Not only are they great people, but the Academy is full of systems, tips, tricks, tools, and the game developer community is full of smart, like-minded individuals. 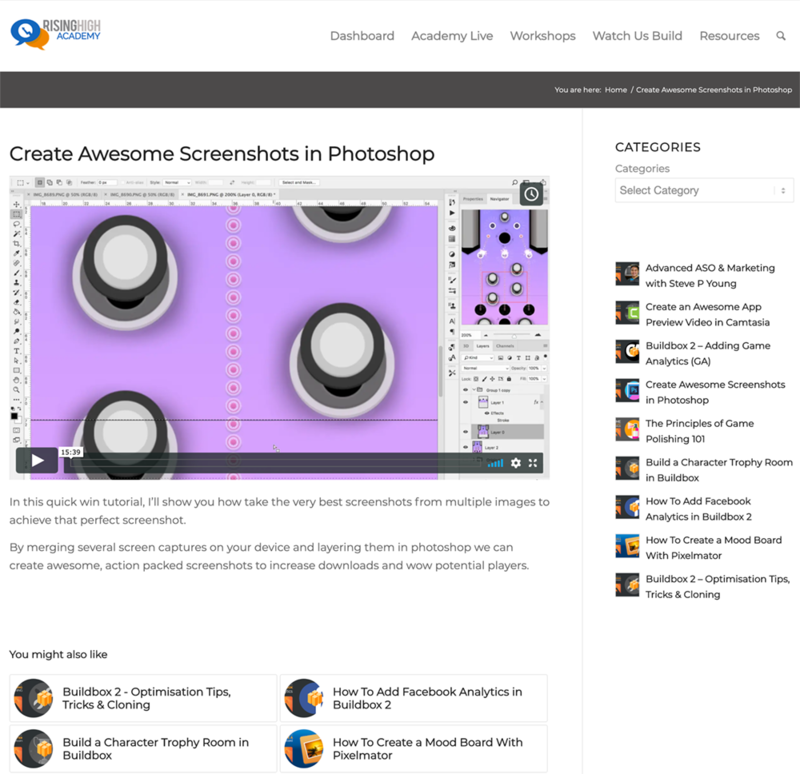 David ReicheltAcademy Member & Color Switch Creator with Over 200 Million Downloads & Counting! It all starts with a Personalised, Private Game Feedback & Consultation! We’re here for you every step of the way. 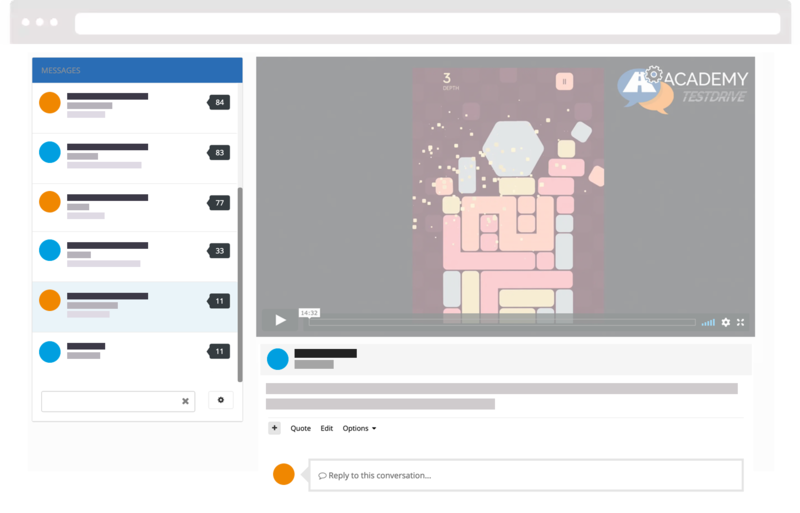 We personally guide you each month with a private play testing feedback video. 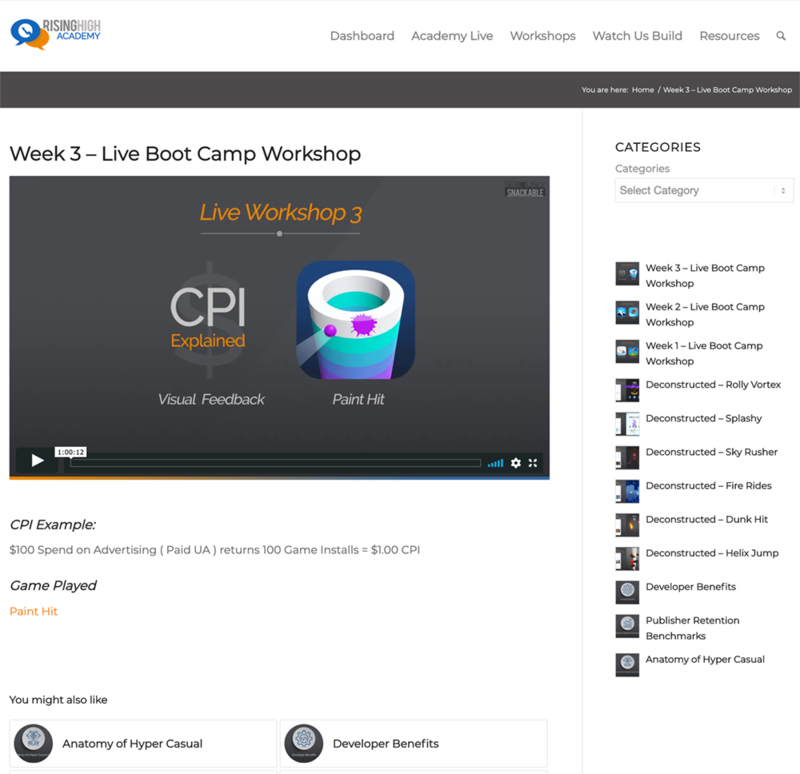 Send a Testflight & we record a 15 minute, bespoke breakdown video for you with ideas & action points. We’ll understand what you’re heading for, where you want to take your game and match our feedback tailored to your specific goals. We’ll help with pitching publishers, pitching Apple. Anything you’re unsure about, we here to guide and advise you. Your Complete Game Business Foundation Training & Support!  We’ve re-engineered our whole process along with what the Top Publishers want, we know, we work with them. Inside you’ll find courses and workshops to sky rocket your success. 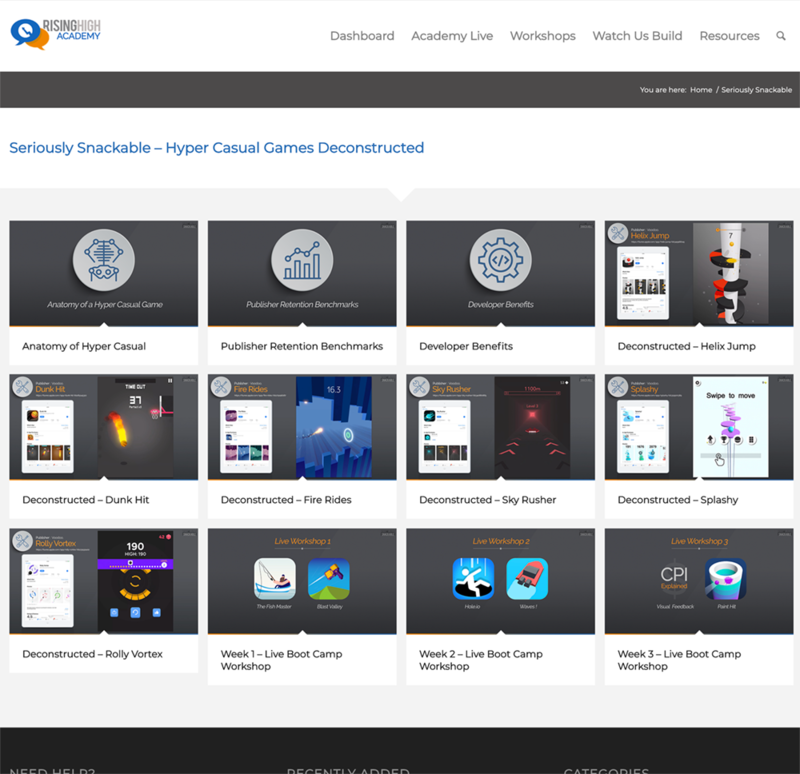 From our Hyper Casual Game essentials, App Store foundation to creating Game Logo’s like a Boss! We’ve laid down everything we’ve learned and are adding new content each and every month. 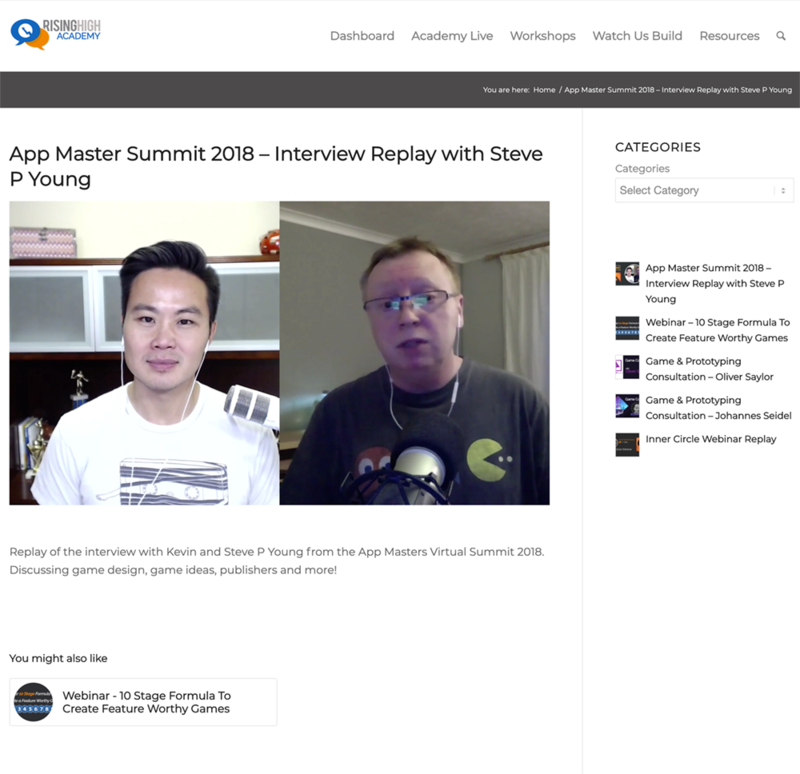 Discover interviews from the Top Mobile Game Publishers and Industry experts who share what it takes to get your game published and to the top of the charts. If we’ve missed it then there’s a good chance we’re working on it now! We help you with Planning, Building and Launching a successful game. Every Friday it’s Academy Live! 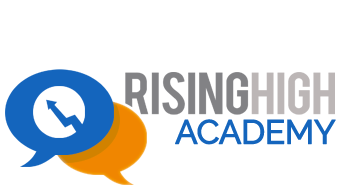 Talk to us direct, Workshops and Q & A discussions with replays. Work with us and we’ll help you with creative ideas, polish, graphics & design that game publishers want. 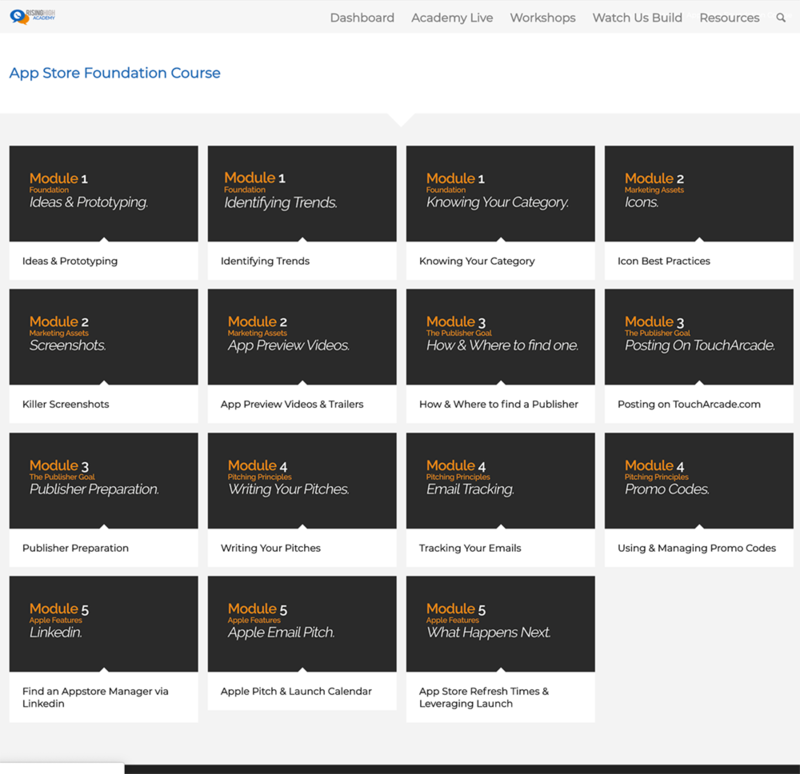 Including our App Store Standard Foundation Course, Hyper Casual Games, Making Videos + More. 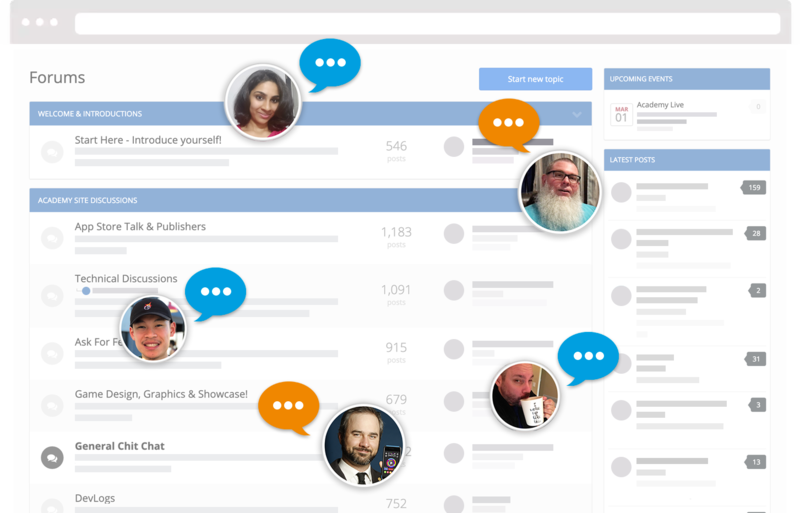 Network with other developers, get feedback, chat & exchange knowledge. 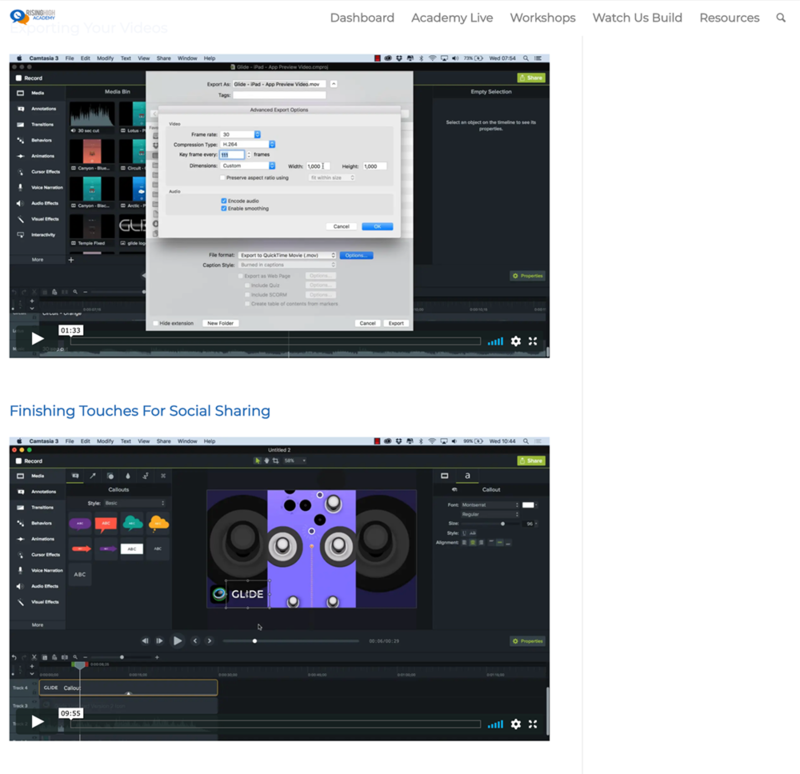 Watch us create 2 Apple Featured games from scratch. From concept to launch day with all the stats! Hear direct from the Top Mobile Publishers on exactly what they are looking for and how to pitch them. Leading developers and industry experts explain how they have succeeded and share their knowledge. 2019 Publisher List, our pitch emails to Apple that got us featured, press release templates & more. Full Academy Access for 2 Weeks. Our 14 Day trial gives you the best chance ever to experience all our in-depth training, resources and community at our lowest entry point ever. Personal Consultations Not Included in the Trial. Regular Membership is $37 / MONTHLY. Save $75 when you join on an annual subscription! Recurring payment – Cancel anytime – Hassle-free / No Risk 14 day money back guarantee. Questions or concerns? Get in touch at support @ RisingHighAcademy.com and we’ll help you out. 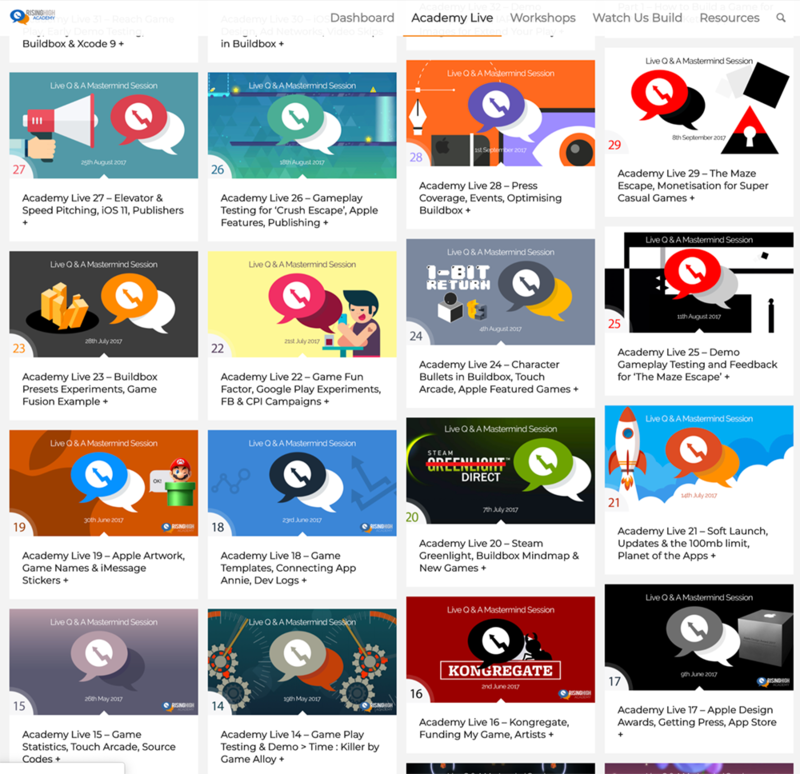 “If you’re new to the games market then all the questions you have about building a game are answered here at the Academy. “The Academy has helped me to master the art of game polish, see trends & saved a lot of dev time because of early feedback. then we’ve got you covered and you can do so Here. fellow game developers asked before diving into the Academy. I’m new to building games, is the Academy right for me? Absolutely and you’re most welcome! Whilst we do cover many advanced topics, our Foundation course alone will ensure you’re putting your best foot forward with the all the fundamentals covered. We can show you how to get started and support you along the way, there’s no need to go it alone! 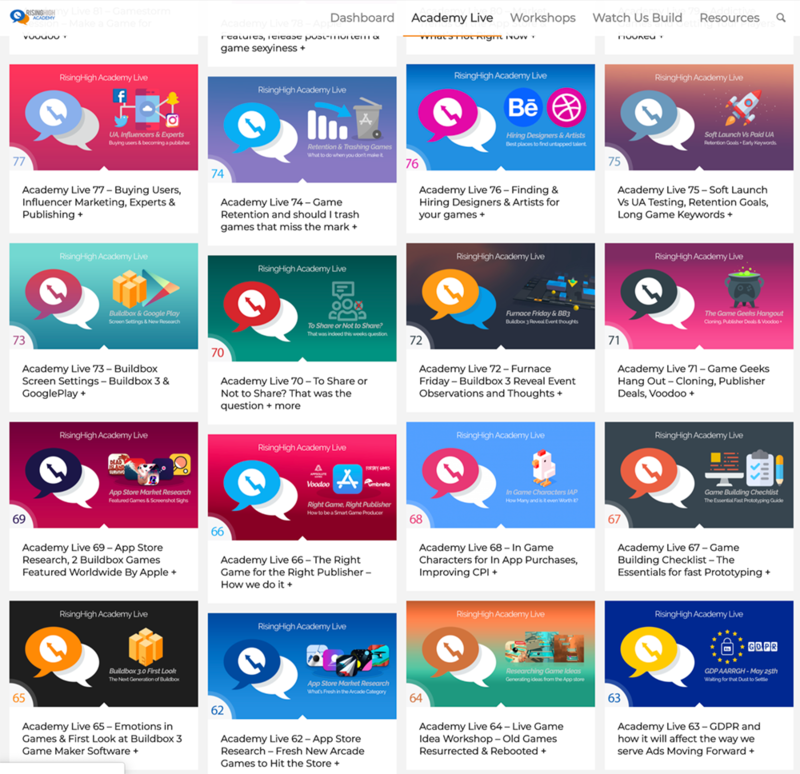 Do I need to use Buildbox to join the Academy? Absolutely not! Whilst we use Buildbox to develop our games and absolutely love it, the Academy at its heart is all about building games regardless of the tech. 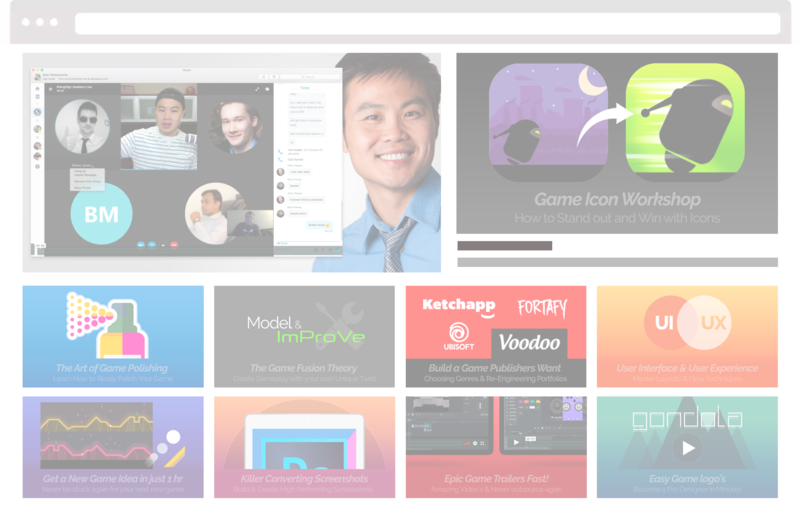 We have many members using software such as Unity, Game Maker, Playmaker, Corona and swift! Will I learn how to use Buildbox? 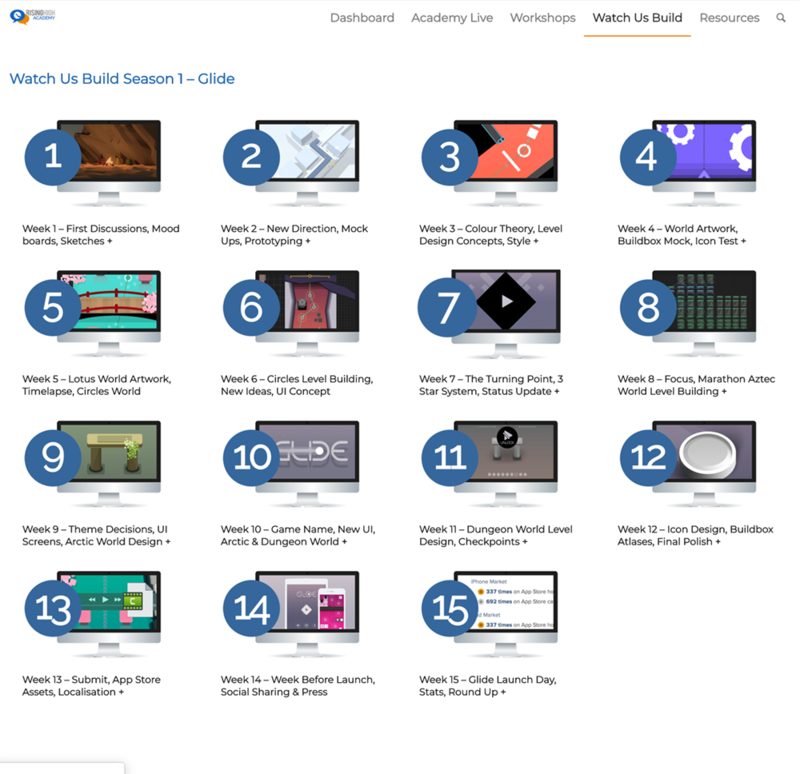 We cover a lot of ground within our “Watch Us Build” series where we use Buildbox to create 2 of our Apple Featured games, however these are not really step-by-step tutorials. We do have various workshops where we go into optimising our Buildbox games for release, adding analytics SDK’s and certain project settings to achieve gameplay types, but, if you are looking specifically for Buildbox training then we always suggest visiting the Official Buildbox Youtube Channel, the Buildbox Website and Forums. We know that the value inside the Academy is second to none, but we also realise that you’ll most likely not stick around forever. Yes. We will be sad, but if something comes up and you’re intent on leaving, you can do so without the need to even contact us. From your dashboard, you can either self cancel or simply put a pause on your membership for a few months. Do you offer Group / Team Memberships? Whilst we obviously don’t allow group buys, we do understand that often they’ll be 2 or more people in your team. 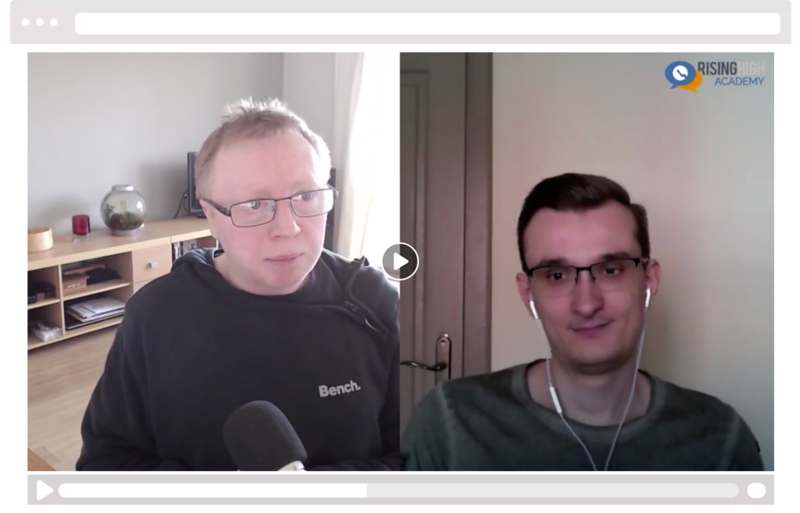 If you’re after a Team membership, which will allow multiple attendees to the Live Sessions and Q & A’s, please drop us an email and we’ll discuss the options. Hey there, we’re Team RisingHigh! Passionate about gaming, committed to excellence. We’re Kevin & Jilly, otherwise known as RisingHigh! We’ve been in the mobile space for a little over 6 years now and extremely honoured to have amassed over 18 million downloads and signed 8 Major Mobile Publisher deals. Being Game Developers and Game Studio owners has been one of the most rewarding and exciting things we’ve ever done, allowing us to live our lives on our own terms doing what we love, and we’re here to empower you to reach your goals of going full-time too. 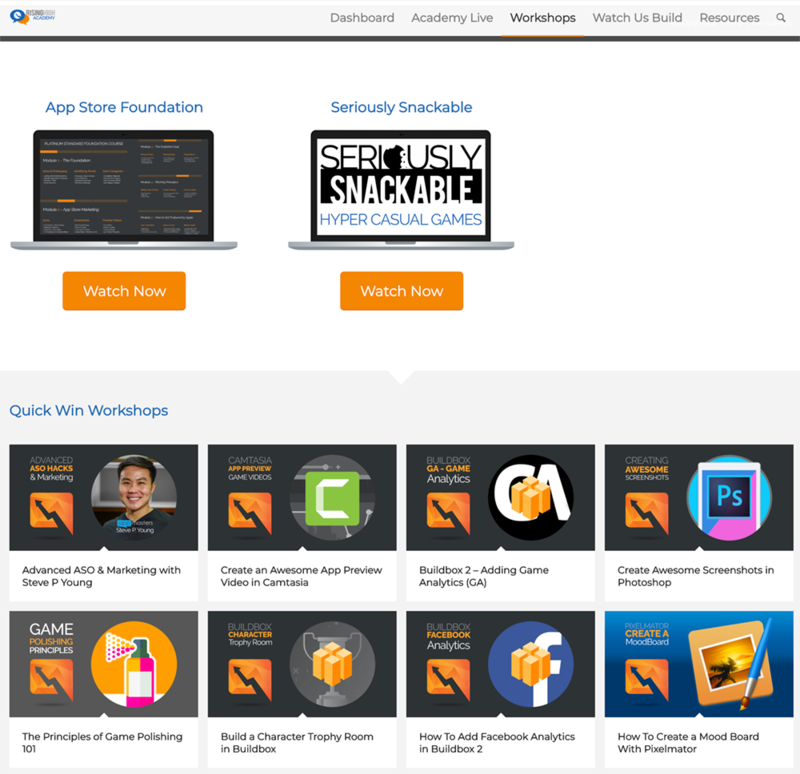 We’re proud to have been featured by Apple & Amazon on countless occasions. With just so many aspects that go into creating and designing games, it’s all so easy to become overwhelmed and confused, and that’s why we created the Academy to bring together likeminded game developers to help navigate this constantly evolving, rapidly changing market.